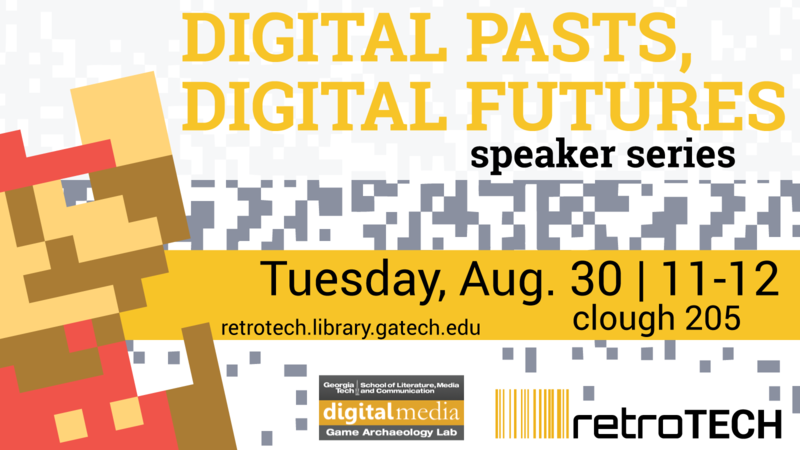 Please join the Georgia Tech Library retroTECH Lab and the Georgia Tech Game Archaeology Lab for Digital Past, for Digital Futures at Georgia Tech. The speaker series brings the community together for interdisciplinary conversations about the histories and futures of hardware, software, video games and digital culture. 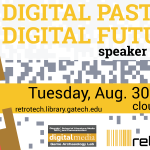 Held Tuesday, Aug. 30 from 11 a.m. to noon in Clough 205.